Myanmar leader Aung San Suu Kyi on Thursday said that the issue of Rohingya Muslims is the biggest challenge that is in front of them. Suu Kyi said that it is little unreasonable to think that the issue will be solved in 18 months as the situation in Rakhine has been such since many decades, goes back to pre-colonial times. On the issue of taking refugees into India, Suu Kyi said that it is up to them to decide how to differentiate terrorists from innocents. She added that people in India would be well-versed with this. "Our duty is to take care of our citizens and will try our best in this regard. Our resources are not complete and adequate as we would like them to be. 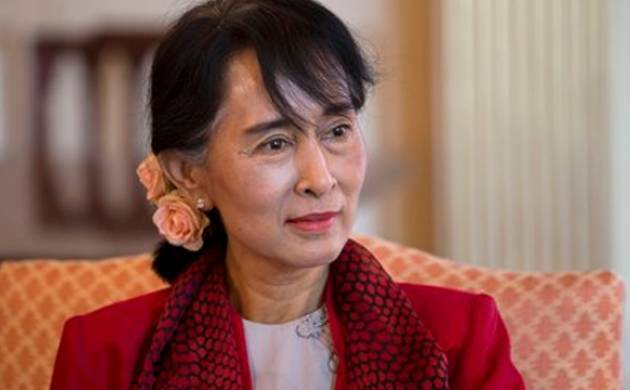 We want to make sure that everyone is entitled to the protection of the law," said Suu Kyi. Earlier on Wednesday, Prime Minister Narendra Modi on Wednesday met Aung San Suu Kyi and the two leaders discussed ways to further cement the bilateral relations. The Indian government is also concerned about Rohingya immigrants in the country and has been considering deporting them. Around 40,000 Rohingyas are said to be staying illegally in India.